The operator simply folds the top flaps of the corrugated carton and feeds it into the machine. The SB applies a single tape strip, in 38 / 50 or 75mm on the top and bottom of the carton simultaneously. This two belt bottom-drive system is a heavy duty machine designed for any kind of working areas. Easy operation, high performances and perfectly closed boxes are granted by using this machine. The working height of the machine can easily be adapted. 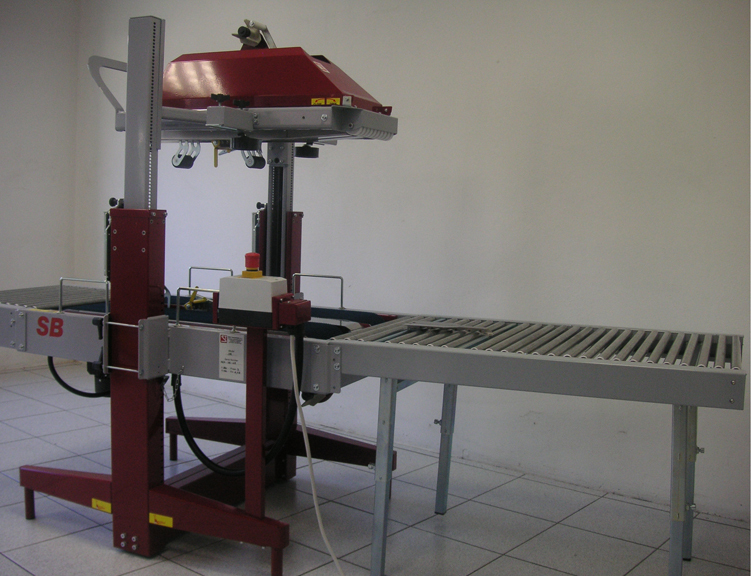 SIRTEC machines can start from a working height of 350mm to 850mm (Packaging line height). Extreme bending or lifting belongs to the past. We offer you a state of the art machine, produced and developed according the latest European rules of safety. Our machines will let your employees smile. 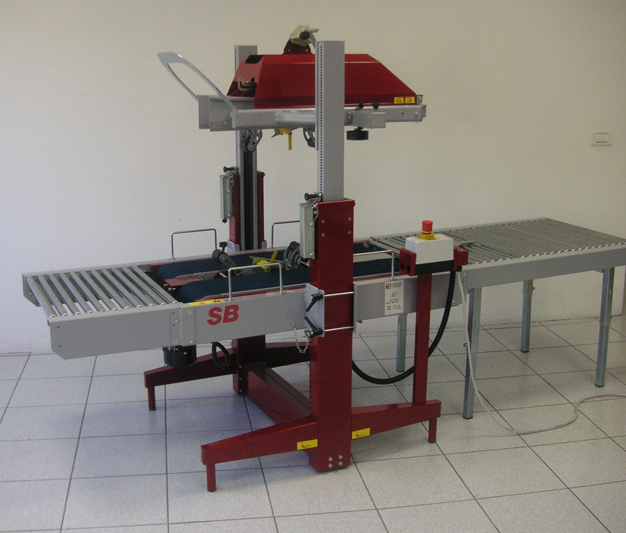 The SB can be easily adjusted in only seconds to process a different size carton. 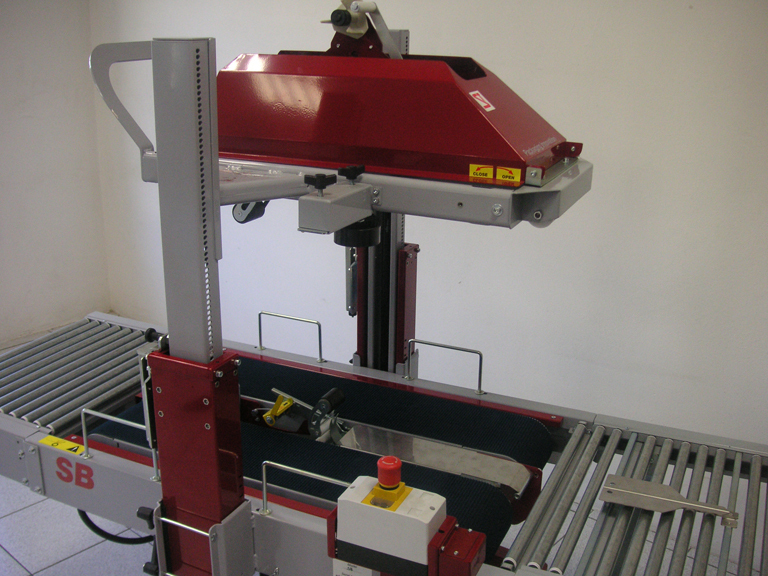 “Patented” belt change and tensioning system, ensure you a low maintenance cost and a maximum output of boxes per hour. We offer you a standard wide range of boxes, which we can close with our standard models.